Justice B.N. Srikrishna, who had headed the Financial Sector Legislative Reforms Commission (FSLRC), will now work hand in hand with Finance Minister Arun Jaitley in an attempt to finalize a Uniform Indian Financial Code (IFC), which seeks to put in place a new regulatory framework for Indian financial markets. The Code will replace a mass of laws and rules concerning the country’s financial sector. The FSLRC had submitted a draft code to the Government in March, 2013. It had suggested a non-sectoral, principle-based approach to overhaul the existing framework. The recommendations are divided into legislative and non-legislative aspects. It had also proposed to close regulatory gaps and overlaps, recommending a new objective and accountability mechanism for the Government and regulators. The country, Jaitley said, has moved away from state- regulated mechanism to a mechanism where the market is trusted and there are professional regulators to deal with issues in sectors concerned. A few recommendations were earlier criticized by RBI Governor Raghuram Rajan. According to him, the recommendations relating to regulators were rather schizophrenic, faddish and impressionistic rather than based on deep analysis. It had recommended a seven-agency structure for the financial sector — the Reserve Bank of India (RBI), Unified Financial Agency (UFA), Financial Sector Appellate Tribunal (FSAT), Resolution Corporation (RC), Financial Redressal Agency (FRA), Financial Stability and Development Council (FSDC) and Public Debt Management Agency (PDMA). 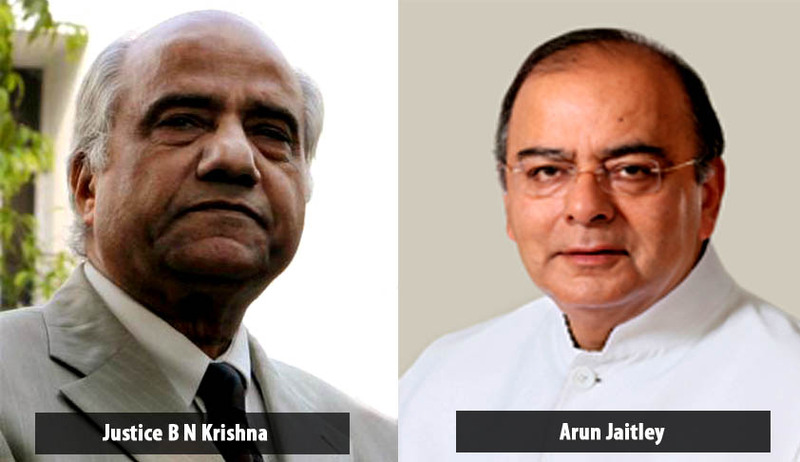 The Committee was constituted in 2011, when Mr. Pranab Mukherjee was the Finance Minister. The delay in implementation of the recommendations has been condemned by President Pranab Mukherjee as well. A consensus is still to be achieved on issues such as the composition of a new monetary policy committee, which has more outside representation — something which the RBI is uncomfortable with. RBI and SEBI are not comfortable with the idea of allowing judicial review of the rules. It was also indicated that unification of regulators such as the pensions watchdog, PFRDA and the IRDA, which have oversight over insurance firms may not be taken in haste.